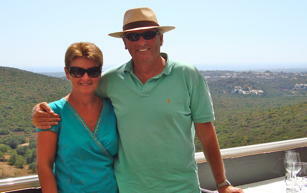 When Simon Clayton quit his high flying job in Belgium, he and his wife Judy decided to make a big lifestyle change and move to the beautiful Algarve, where they had enjoyed many happy family holidays. 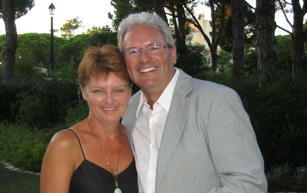 Judy’s creativity and passion for design led to the opening of their first store in Quinta do Lago in 2004. Based on the eclectic boutiques of Brussels and their worldwide travels, it brought a new level of retail experience to the Algarve. Now with a home in the hills above the coast, Simon and Judy enjoy the calm and serenity of rural life mixed with the buzz created by their stylish, unique and growing business. Our philosophy from day one has been to offer our customers a high quality environment, in which it is possible to browse at leisure, under the guidance of knowledgable staff, an eclectic collection of products based on the concept “Outdoor Living”. Our shops radiate the warmth of the Algarve, displaying exceptional outdoor furniture, designer resort fashion and refreshing home and body scents. 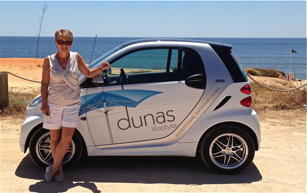 Many of our brands are unique to Dunas Lifestyle in Portugal and we take pride in our commitment to provide an excellent level of service to all customers. Our focus for the future is to showcase our world leading Outdoor Furniture brands in an environment unique to the Algarve and indeed Portugal. With the outdoors becoming the new “indoors” we are aiming to bring the best in outdoor design and technology to our region, where already there are many state of the art contemporary villas and hotels. Classic homes are not forgotten however and we travel extensively to source products that are both cutting edge and timelessly elegant.